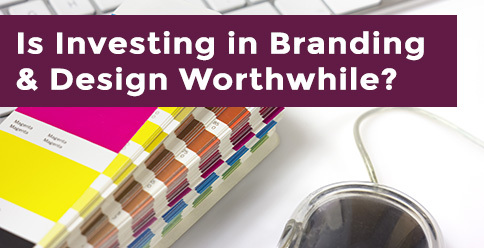 Whether you are designing a new brand or looking to reposition an existing one, you might be questioning how important branding and design are and whether they are worth investing in – the simple answer is YES. Good design and branding provides your business with a visual identity, creates recognition and strengthens your overall brand. Your branding should be consistent across all of your businesses digital marketing and printed assets, from your company logo, website, letterhead, print materials and packaging. Your branding should create an impression that is both appealing and sticks in the minds of consumers. Expert Status – a strong brand will help you position yourself as an expert in your field. Consumers judge a company on their brand both consciously and subconsciously, a good brand can increase sales and build customer loyalty. Higher Perceived Value – a strong brand can lead to higher profits because of a higher perceived value. Consumers will be willing to pay more for your products or services as they perceive you to be better than your competitors. Become the Clear Choice – your branding is your identity and a key factor in consumer choice. Understanding your target market is essential when developing your branding. A brand, or a company’s reputation, is considered to be one of the most valuable company assets. Future success is dependent on building public awareness and customer loyalty. What does your brand say about your business? Creative branding covers a range of different design areas. Blackberry can help establish or refresh your brand, revitalise your corporate identity, or create a new logo design. View our branding portfolio to see what we could do for you. To discuss your branding and design requirements call us on 01527 517 309 or email us via the contact form.